On Monday, Scott Powers at The Athletic outlined six potential line combinations for the 2016-17 Blackhawks. He did a great job of outlining how the lines could play out, but there are a few options he didn’t include that we would like to see. Below, we have outlined Powers’ six options for each of the four forward lines and added our preference (the final option in bold is our line option). What do you think? 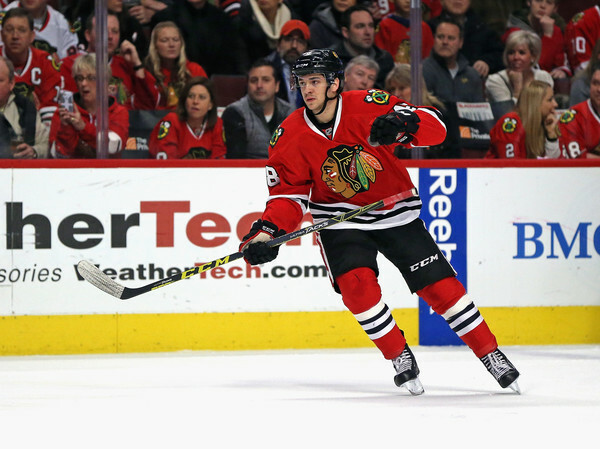 Why: Powers offers three options with Richard Panik on the top line, but we would prefer not banking on a Toronto castaway to keep the top line afloat; Panik was good in a small sample size last year, but the Hawks have better offensive options. In our scenario, Marian Hossa stays on the top line with the addition of rookie Tyler Motte. Motte had a terrific offensive season at Michigan last year, but also plays a defensively responsible game. This trio could be tough to play against on both ends of the ice. Of course, if Jimmy Vesey signs with Chicago that could change a few dynamics, but we didn’t want to assume he’ll be here in October. Why: if it ain’t broke, don’t try to force a “fix” on it. This was arguably the most consistently threatening offensive line in hockey last year and could get better in the second year of Panarin and Anisimov being with the organization. The issues the Hawks have are trying to get at least one (if not two) of the other lines to take pressure off these three to carry the team every night. Why: Hinostroza and Kero both saw action in the NHL last season and showed enough to get a longer look this year; there’s a reason Powers has Hinostroza as an option on the Hawks’ top line. If he shows enough to make the roster out of camp, Schmaltz could be a dynamic playmaker who forces the Hawks to consider him for top line shifts. It’s also worth noting that all three of these guys has played center at some point, which gives the Hawks some versatility for a third line as well. Why: Hartman, the Andrew Shaw Replacement as ordained three years ago by everyone who read his draft bio, in a fourth line role makes this an ugly line to play against. Skating Panik and Kruger with him would give this line some edge but also some offensive upside as well. With the talent in the system the Hawks have ready/almost ready, it’s hard to project a roster spot for guys like Desjardins, Tootoo and Mashinter. Hinostroza hasn’t shown he can roll in the NHL to be a top six winger. His game is his skill. But he has to produce, something he has yet to do. He had a fairly productive year in Rockford and was awarded a spot at the WHC. Where he saw his ice time slowly and steadily diminish. Motte on the other hand can play a checking game. Unlike Hinostroza when he doesn’t produce offensively he still has value. The performance bonuses tied to Schmaltz probably keeps him in the AHL at least for a bit, if he was borderline otherwise. Hinostroza also has bonuses but not quite as much and his actual salary is lower than Schmaltz. Motte doesn’t appear to have bonuses. 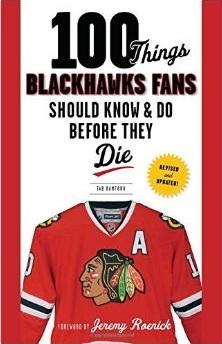 How much more effective would Toews and Hossa be if they did not have to play so many hard minutes on the PK? 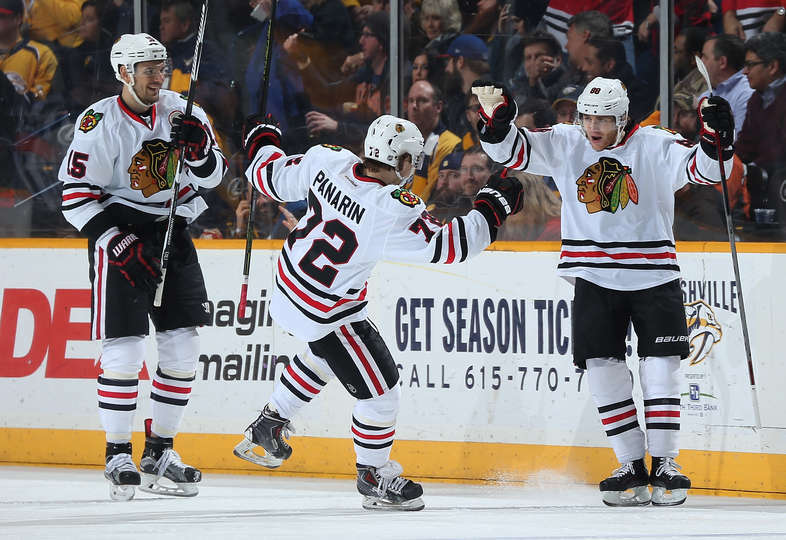 Kane and Panarin NEVER play on the PK – maybe that’s why they have more 5 on 5 energy. Who could step forward to take their (19 and 81) places on the PK? You know Q is going to find a way to get Mashinter or Tootoo in there every night. The Hawks need as much secondary scoring in the lineup as possible right now, so hopefully I’m wrong about this. The Hawks secondary scoring should come from the top line. They didnt do enough of it last year. 19 and 81 are really good on the PK. 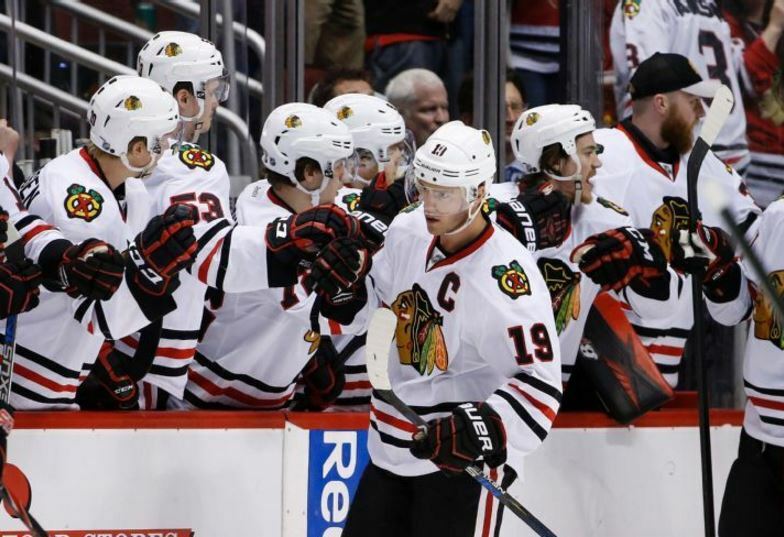 Toews is always in the running for Selke. Hossa should be in the running but is overlooked because he’s not a center. How do you take a perennial Selke candidate off the PK? You’re not going to find someone as close to what those two bring. Keeping pucks out of the net is just as important as putting them in. 51 should help in both regards. I suppose it’s fun to speculate, but maybe the better question is how many different line combinations we are going to see over the first month of the season? Because if there’s one thing you can count on with Q, it’s that whatever lines we see on opening night aren’t going to last very long. Agree with all of your potential lines. Good job! However, I would put Schmaltz at center on the third line and move Kero to the left side. If Vesey signs, I think Hossa stays with Toews and the whiz kid joins them. Keep in mind, if Vesey does not sign, chances are Hudler might be inked. I think Schmaltz makes the team for sure. I think Motte makes it over Hino. Fun to speculate. Left wing looks pretty thin. Hope by this time next week, we are giddy with what we got. regardless of what better options there are. With no Signings, thats what I “HOPE” to see. However, I think likely 1 of Vesey, Hudler, Vermette get inked pushing someone out (likely Hino or Motte). Vesey/Hudler would move to LW1 if signed, moving Motte out. and Vermette would be 3C if signed with Schmaltz sliding over. Rasmussen, Hartman and Motte in RFD. Motte on top line if Vesey isnt here. Motte in Rockford if he is? I would be absolutely shocked if Schmaltz is on the opening night roster. Especially if Vesey is here. 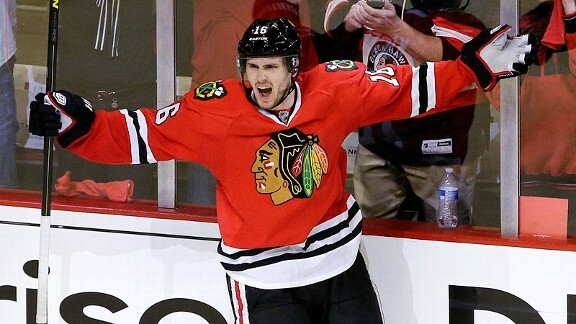 The bonuses tied to his name is partly why he plays half a year in Rockford. Desjardins faceoff wise was their 2nd best faceoff guy if you exclude Fleischmann. Kruger is 2 years removed from 28 points. Not bad 3rd line production. When you factor in he was anchored to guys that can’t score it’s not unreasonable to think that production returns. I like a 4th line of Panik, Desjardins, Hartman and a 3rd line with Motte, Kruger, McNeil. I still think Boston is the likely landing place for Vesey, it be a nice signing if the Hawks can however grab him. Ernie- the top one is my “if i ran the team lineup”. I dont think that will happen realistically though. Realistically with no signing, I think the hawks will play Panik at LW1, and Motte is on 3rd line. BUT, I do think there will be a signing and that Motte will get pushed to RFD. When Vesey or Hudler gets added, to me, i think Motte is the guy on the outside. I hope he doesnt get pushed out cuz i want to see him get a shot but Vesey/Hudler moves Panik to 3rd line. and with the expectation that Mash is in the lineup (as much as we all hate it), two of Hartman/Hino/Schmaltz/Motte get sent down. I think Hino and Schmaltz get first crack. Desi can play C, but I dont think Q would roll him as the 3C on opening day. I think they give Schmaltz a shot (assuming they dont also grab Vermette on the cheap, but im not expecting it). But Vesey/Hudler/Vermette could really throw that out the window in 5 days. I don’t have a problem with splitting up Kane and Panarin because I think they can both drive a line and should provide more balanced scoring for the team. Whether that means 72-19-?? or ? ?-19-88 I don’t know but it would be nice flexibility to have. I doubt more than 2 or 3 (forward) rookies will be in the lineup on a regular basis. Newest “news” is Vesey says Blackhawks, Rangers and Devils on his short list. Are they playing with Boston? Hard to believe but if that’s his 3 I think there is a very good chance he’ll sign with the Hawks. How can one pass up a possible chance to play with and learn from Toews and Kane (maybe on the same line), Hossa. 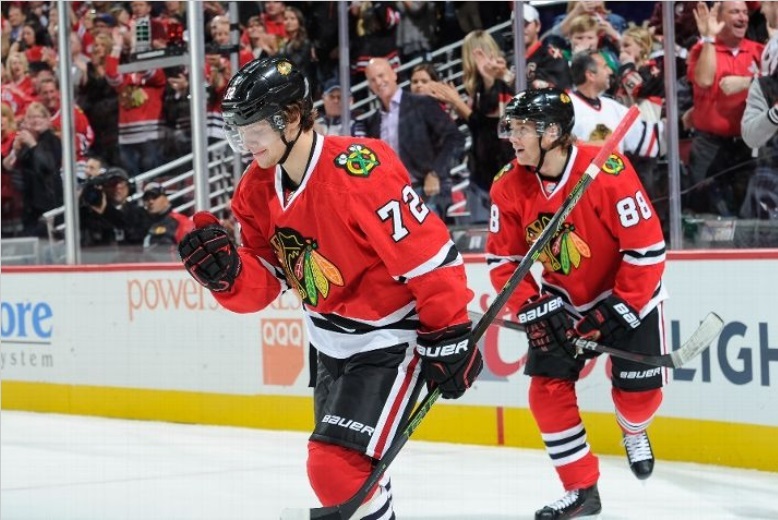 Panarin, and the Hawks new D? Too many good and open opportunities with the Hawks. If he decides to sign elsewhere, good luck with that. 19/88 and 72/15 when doing that. I think we add as well and we will also add a good FW a deadline too. Regardless of who plays 40 or 82 games, etc. I think 20 and 8 are on the line for the 2nd 40 games. We have the Defense back to where it was so lets upside the group of FWs. Apart from the easy call with the 2nd line, the other 3 lines will be an experiment in progress. I really doubt Q ?has given this much thought in the off season. Gotta wait and see who is on the team first. It’s up for grabs what younger guys actually fill some spots. Most important is that the core guys have been able to rest and strengthen tired, worn out bodies this summer.